Effective July 1, 2014, the Department of Housing and Urban Development (HUD) through the 2014 Appropriations Act implemented a change regarding the Housing Quality Standards (HQS) Inspections compliance period. Section 220 of the 2014 Appropriations Act allows a Public Housing Authority (PHA) the option of compliance with the requirement to inspect assisted dwelling units during the term of aHousing Assistance Payment (HAP) contract by inspecting such units biennially (every 2 years instead of annually and to rely upon alternative inspection methods to meet this requirement. However, the PHA may not use the biennial or the alternative inspection method in lieu of the initial unit inspection or any interim or complaint inspection. The PHA is still required to conduct an initial inspection, prior to entering into a HAP contract, and an interim or complaint inspection, if a family or government official notifies the PHA of a unit’s failure to comply with housing quality standards of the Housing Choice Voucher (HCV) program. THDA has chosen to adopt and implement this change effective July 1, 2016. This change may affect you as a Section 8 Housing Choice Voucher (HCV) owner/participant. Please refer to the Housing Quality Standards Biennial Inspection Criteria link to the right for an overview of how units may be selected. Effective July 1, 2015, all owners/agents are REQUIRED to register with CGI’s HQS Inspections Portal for real-time information; to view inspections notifications, inspection schedules, inspection results, view pictures of fail items, print copies of reports, and for submission of Self-Certifications and other documentation. Go to thda.cgihousing.com, you will need to enter the unique ID number and your billing zip code located on all CGI inspection notices. Please direct all HQS inspection questions; including registration assistance, requests for extensions or disputes regarding Abatements to CGI at thdainspections@cgifederal.com, 1.855.599.5867 (telephone), 1.855.251.1213 (fax). Note: Telephone messages are returned within 24 hours. The participation of private property owners is critical to the success of the Housing Choice Voucher (HCV) Program. Your interest in providing an affordable housing option for low-income families is appreciated! The Section 8 Housing Choice Voucher Program is a three-way partnership between THDA, the tenant family and the Owner/Landlord. In order for the program to work, each party has unique responsibilities. As the owner/landlord of a property leased under the Voucher program, you agree to provide a safe, decent and sanitary unit, charge a reasonable rent compared to other similar market properties, not charge side rent or rent not disclosed to the PHA and to fulfill other obligations outlined in the lease agreement and HAP Contract. The family agrees to follow the Voucher program family obligations, which include adherence to the terms of their lease agreement and timely payment of their rent portion. THDA agrees to make a timely rental subsidy payment on behalf of the family each month on or before the fifth day of the month and to enforce both the family obligations and the HAP Contract. Monthly subsidy payments are mailed to the owner on the last working day of the month prior to due date. There is no interference by THDA with the owner-tenant relationship except as mediator. Owner’s current tenants may be eligible to participate in the program. THDA continually invites owners to make dwelling units available for leasing by eligible Voucher families. 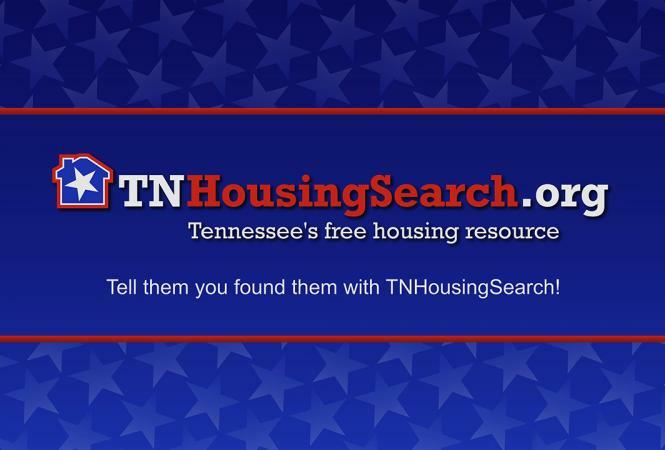 You may list your property on THDA’s online search engine, TNHousingSearch.org. Applicants and participants are referred to TNHousingSearch.org for available listings. It is the responsibility of the landlord to determine the suitability of prospective tenants. Owners will be encouraged to screen applicants for rent payment history, eviction history, damage to units and other factors related to the family’s suitability as a tenant. Post your available rental units on TNHousingSearch.org.